Acetone Poisoning is the accidental or intentional intake (swallowing, breathing-in, or skin contact) of any product containing the compound. What are the Causes of Acetone Poisoning? What are the Signs and Symptoms of Acetone Poisoning? The signs and symptoms of Acetone Poisoning can vary from one individual to another. It may be mild in some and severe in others. Several systems of the body, such as the vascular system, digestive system, respiratory system, nervous system, and ENT may be affected. How is First Aid administered for Acetone Poisoning? Who should administer First Aid for Acetone Poisoning? 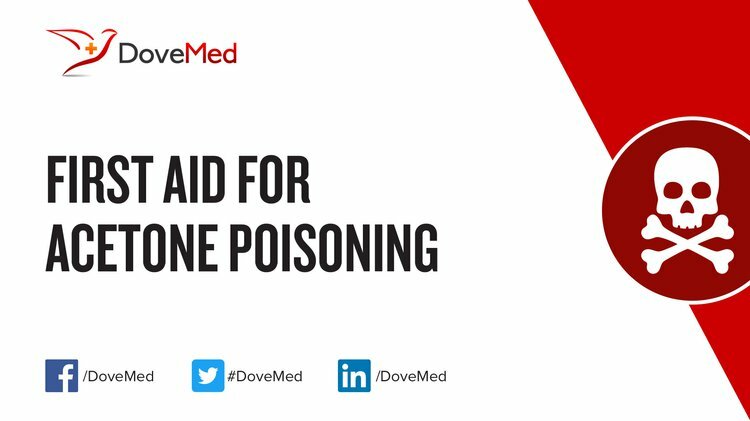 First aid for Acetone Poisoning is administered by healthcare professionals. What is the Prognosis of Acetone Poisoning? How can Acetone Poisoning be Prevented? Liu, Y., Zeng, Y., Liu, R., Wu, H., Wang, G., & Cao, D. (2012). Poisoning of acetone to Pt and Au electrodes for electrooxidation of 2-propanol in alkaline medium. Electrochimica Acta, 76, 174-178. Cheng, Y., Liu, Y., Cao, D., Wang, G., & Gao, Y. (2011). Effects of acetone on electrooxidation of 2-propanol in alkaline medium on the Pd/Ni-foam electrode. Journal of Power Sources, 196(6), 3124-3128. Slaughter, R. J., Mason, R. W., Beasley, D. M. G., Vale, J. A., & Schep, L. J. (2014). Isopropanol poisoning. Clinical toxicology, 52(5), 470-478. Patra, S., Sikka, G., Khaowas, A. K., & Kumar, V. (2011). Successful intervention in a child with toxic methemoglobinemia due to nail polish remover poisoning. Indian journal of occupational and environmental medicine, 15(3), 137. Mégarbane, B., & Villa, A. (2010). Poisoning with ethanol and 2-propanol-based hand rubs: give Caesar what belongs to Caesar!. Neurocritical care, 1-3.